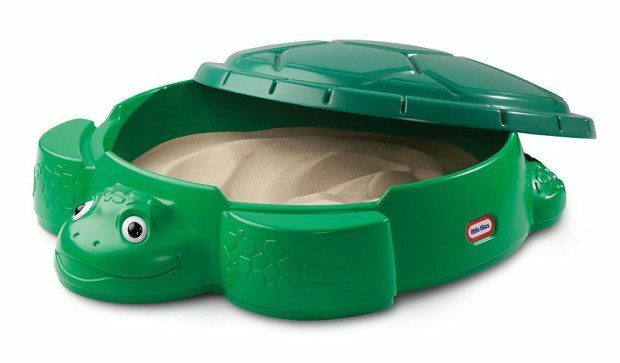 Little Tikes Turtle Sandbox Only $44.99! You are here: Home / Great Deals / Little Tikes Turtle Sandbox Only $44.99! This sandbox features a friendly face and turtle shell details to engage your little one’s imagination! Get the Little Tikes Turtle Sandbox for Only $44.99! It has a large area for lots of sand play and a removable lid!